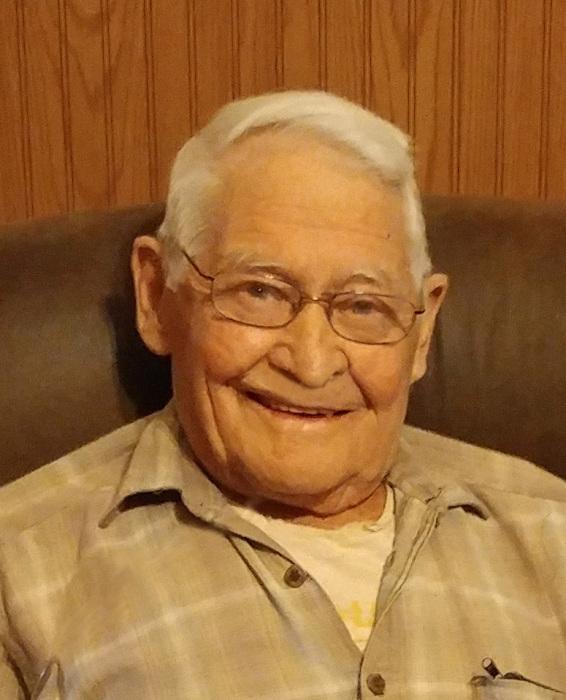 Roger Ledding, 87, of Fergus Falls, died Friday, January 25, 2019, at his home, under the care of his family and LB Hospice. Roger was born on December 23, 1931, in Fergus Falls, MN, the son of Edward and Margaret (Johnson) Ledding. He was baptized and confirmed in the Lutheran faith in Aurdal Lutheran Church. Roger attended school district 247 through eighth grade, two years of high school in Fergus Falls, and two years in Underwood, graduating in 1949. After receiving his education, Roger enlisted in the United States Air Force on August 12, 1952. On July 31, 1953, Roger married Marilyn Thormodson at Bethlehem Lutheran Church in Fergus Falls. Roger and Marilyn lived in Edinburgh, Scotland for three years, while Roger was in the Air Force. Following his honorable discharge on August 1, 1956, the couple returned to Minnesota, where Roger began farming, eventually purchasing the farm from his father. Roger and Marilyn were blessed with six children. As active parents, they were proud to have attended nearly every sporting event or school activity their children participated in. Roger was a member of Aurdal Lutheran Church, Eagles Aerie #2339, Elks Lodge #1093, and the American Legion Post #489. Roger will be missed by his children, Jeffrey (Peggy) of Fort Worth, Texas, Daniel (Chris) of Philpot, Kentucky, Richard (Michelle) of Great Falls, Montana, Jonathan Ledding of Fergus Falls, and Pam Ledding of Denver, Colorado; son-in-law, Michael Heiden of Fergus Falls; 11 grandchildren, Jennifer (Jason) Loshelder, Erin (Wes) and Andrea Ledding, Alison (Jeremy) Guerra, Dan Jr. (Cortney) and Scott (Jami) Ledding, Ashley (Tony) Haga, Rachel Ledding, Michelle (Philip) Kast, Jacob (Amanda) Ledding, and Nycole (Taylor) Larson; 17 great-grandchildren: Augustine, Nikolas, Jordan, Cameron, Vincent, Liam, Philip, Scarlet, Keira, Alexander, Hannah, Savannah, Kaelin, Cassidy, Logan, Paislee, and Evelyn; and two siblings, Harlan Ledding and Marcia Hanson; and many nieces and nephews. In addition to his parents, Roger was preceded in death by his wife, Marilyn; daughter, Jenyne Heiden; daughter-in-law, Kye Ok Ledding; siblings, Delores (James) Plemel and Eileen (Ray) Green; and a niece, Kristine Cave. Memorials are preferred to LB Hospice. Memorial Service: 5:00 PM Monday, January 28, 2019, at Glende-Nilson Funeral Home, Fergus Falls, with visitation one hour prior to services.